Sunspace acrylic roofing blocks harmful UV rays, protecting families from the effects of inclement weather without sacrificing natural lighting. Sunspace Acrylic Roof Systems from Butler Home Improvement were developed to offer optimum protection from bitter weather conditions and harmful UV rays while drawing in natural light. 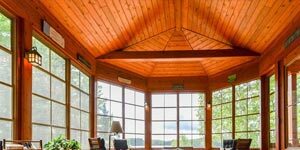 Long-lasting acrylic sheets from Sunspace are 100% naturally UV stable and soften harsh lighting. Sunspace Acrylic roofs retain 90% of light transmission for 30 years guaranteed. Sunspace Acrylic Roof Systems can comply with most roofing structures and are essentially maintenance free! Butler Home Improvement offers a range of acrylic roofing sheets available in a variety of solar tints that block damaging UV rays while allowing various levels of light transmission and heat reflection. 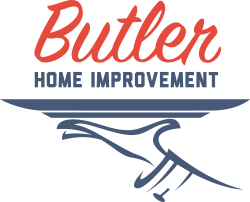 Butler Home Improvement serves St Louis, St Charles, O’Fallon, Collinsville, Edwardsville, Belleville, and the surrounding areas with high-quality acrylic roofing systems, contact us today to get started! Butler weatherproofed an area 16′ x 28′ under our deck with a Sunspace screen room. They provided a waterproof ceiling and Sunspace walls. All steps from design to constructions was done professionally. The room was built on time and budget. The quality of the workmanship was excellent. We now enjoy a maintenance free room that is perfect for relaxing.